Since October, AMD has been lining up new products in their latest Radeon R200 series lineup which includes their latest flagship Hawaii based chips. It looks like AMD is going to launch two new products in their Radeon lineup which include the Radeon R9 260 and Radeon R9 255 aimed towards the sub-$150 market. 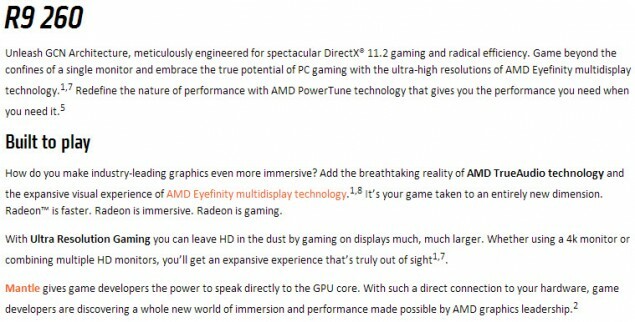 Techpowerup grabbed the specifications of both cards from AMD’s web page where they were listed as the R9 series products. 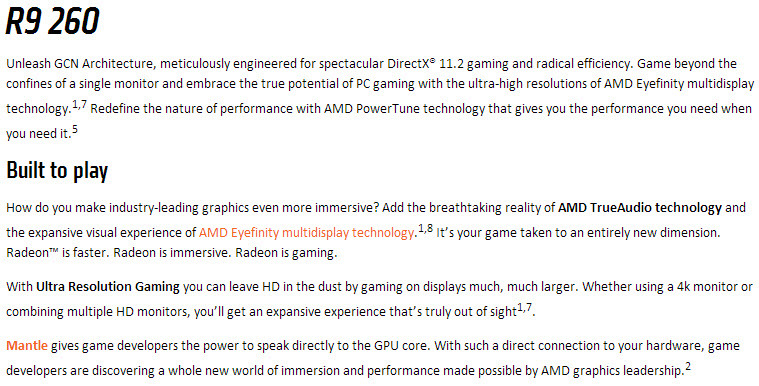 The R9 branding is reserved for AMD’s top tier cards such as the 290X, 280X and the 270X and their non-X variants. The two cards which AMD plans to release are nowhere in line with the top dogs of the R9 series and the R9 260’s specifications completely match those of R7 260X hence causing some confusion among the buyers. 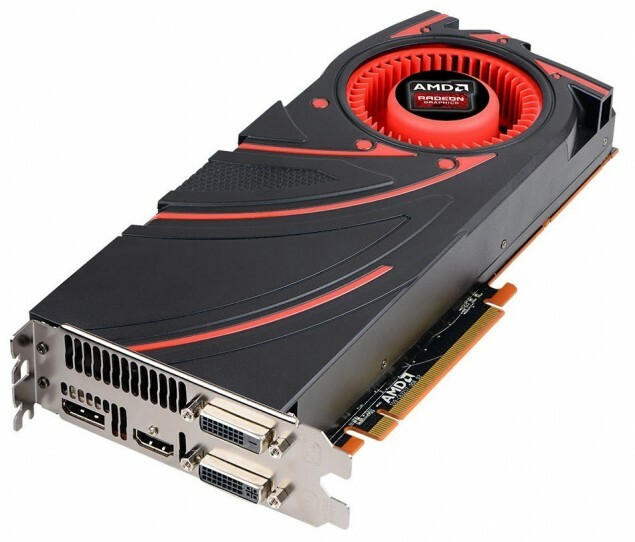 How did the Radeon 255 managed to fit in the R9 brand when its performance would be far more lower than that of the R7 260? Well nevertheless, let’s get on with the specifications starting with the Radeon R9 260. The Radeon R9 260 is based off the Bonaire XTX GPU which is built on a 28nm process. The GPU features 896 Stream processors, 56 TMUs and 16 ROPs while the core clock is maintained at 1.1 GHz and 6.50 GHz effective clock for the memory. The card features a 2 GB GDDR5 memory that operates along a 128-bit interface and will have a 115W TDP which would be powered by a 6-Pin connector. Pricing wise, it would retail at the same $139 US price of the R7 260X due to similar specs. The Radeon R9 255 is something new as a R9 and R7 series card but is technically a rebranded Cape Verde GPU with 512 Stream processors, 32 TMUs, 16 ROPs and a 930 MHz core clock with the 2 GB GDDR5 memory clocked at 6.50 GHz and running along a 128-bit interface. The card also draws power from a single 6-Pin connector and has a TDP lower than 100W. Both cards have a memory bandwidth of 104 GB/s and the Radeon R9 255 is pretty interesting due to the fact it features the same amount of cores as AMD’s upcoming flagship Kaveri APU which is known as the A10-7850K. So the possibility of using both in dual-graphics configuration remains high.